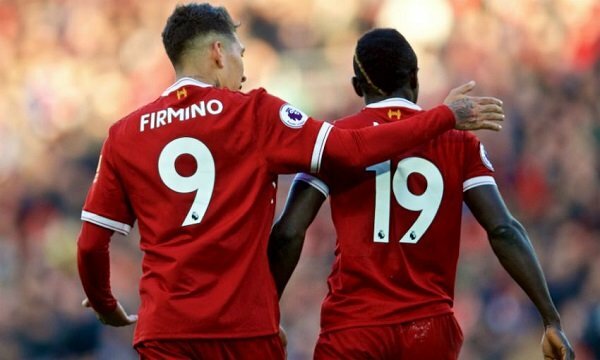 With three matches left to play Liverpool missed out on a golden chance to extend their lead over fifth placed Chelsea with a draw away to West Bromwich Albion yesterday, but the eight point gap still leaves them well placed to not only secure a top-four finish, but also the coveted spot in next seasons Champions League that goes along with it. Barring a dramatic collapse by either the third place Reds or fourth placed Tottenham Hotspur, the Blues are looking nailed on for Thursday nights in the Europa League and will miss out playing on Europe’s biggest stage for only the second time in the past fifteen years — a feeling we know know only too well. Once one of the juggernauts of this competition, Liverpool are only now coming back around to where they belong and when they run out against AS Roma in the first leg of their semi-final showdown with the Italians on Tuesday, it’ll be their first appearance at this stage in a decade. While domestic success still tops the Reds wish list, their love affair with the Champions League remains as sincere as ever and as the very real possibility of bringing him the trophy for a sixth time hits home, will they gamble with their spot in the league to do just that? You have to play the odds; after a bumpy start for online gambling, innovative software and an offer expansion that included virtual table and casino lobby games as well as the addition of sports betting saw virtual casinos make available everything you’d find in a full-fledged sports-book. Whether you’re having a punt on Liverpool to secure their spot in UEFA’s showpiece event or just for them to heap some misery on the relegation threatened Stoke City next weekend, we’d recommend you check out the Promo from Ladbrokes; they have excellent deals for new-comers. And, to be fair, if you wanted to lean the other way and back the Potters to cause a bit of havoc when they visit Anfield, it might not be such a bad shout. Paul Lambert’s side snagged a good point with Burnley on Sunday to keep them in the race for top-flight survival and with Roma on the brain, Reds boss Jurgen Klopp could once again leave a number of familiar faces out of the starting eleven. Klopp made a number of changes at the Hawthorns and though they controlled large swathes of the match, they never looked quite like the dominate Liverpool that steamrolled Manchester City home and away. Can the German afford to leave any of them out? Is the eight point gap between us and Chelsea, who still have a game in hand and will host us at Stamford Bridge in our penultimate match of the campaign, enough for us to take a calculated risk with our chances of securing a top-four finish? Odds makers at every sports book have the arduous task of designing the sharpest lines to balance the odds in every situation, both in the Premier League and Europe. UEFA Champions and Europa Leagues are the undoubted taste-makers of bettors world wide, drawing millions of Euros each year with betting odds for the early qualification stages, as well as for each game moving up to the coveted final. The same goes for the teams that play in those competitions with the financial rewards astronomical for all involved. Now, considering that the Reds can’t match the financial might of teams likes the Blues and oil rich City, missing out on European football would be a huge blow to their cause. The quarter-finals brought a spike in interest from punters and that will only grow as we move in the the semi-finals as Zinedine Zidane’s Real Madrid square up with Bundesliga champions Bayern Munich and your Reds face off with Eusebio Di Francesco’s Roma in a bids to reach the Olympic Stadium in Kiev for UEFA’s showpiece event. You can find out more about times and venues by visiting UEFA’s official site and you can also find incredible deals at many online casinos on new deposits specifically for the closing stages of the Champions League and the Premier League alike. Now that bonus might tempt you to get in on the action, but even if Klopp is going to consider taking a gamble with his line-up, he’s going to keep that to himself. If you think you know what the German’s plan is going to be, you don’t know him or football.